What are some of your favorite Fall activities? Each Fall we love to head to a local apple tree farm and pick apples! The kids love it and the apples are delicious! We also love apple crafts around our house. 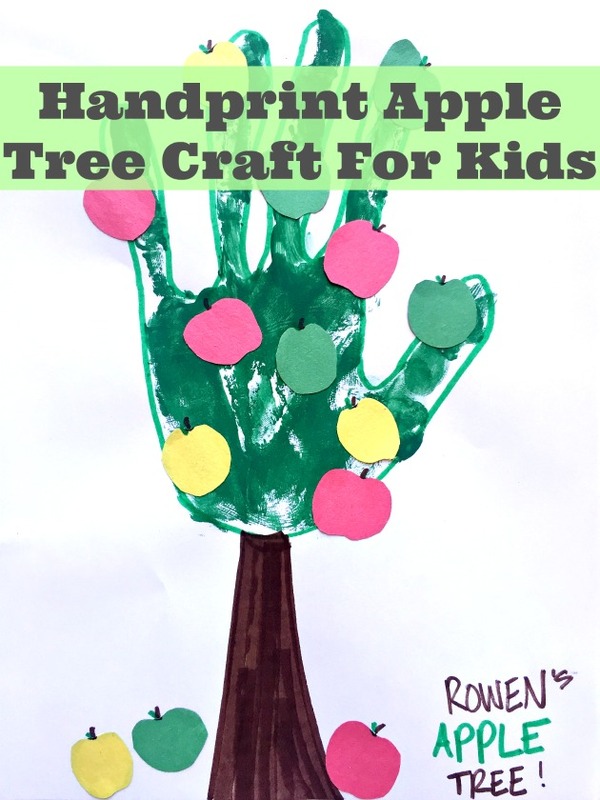 This handprint apple tree craft is fun for all ages of children. You probably have everything you need already at home! Each apple tree will be unique since everyone will be using their own handprint for the top of the tree! This craft is even fun to frame and hang around the house or in your child’s room for Fall decor. Gather your supplies and head to a table. 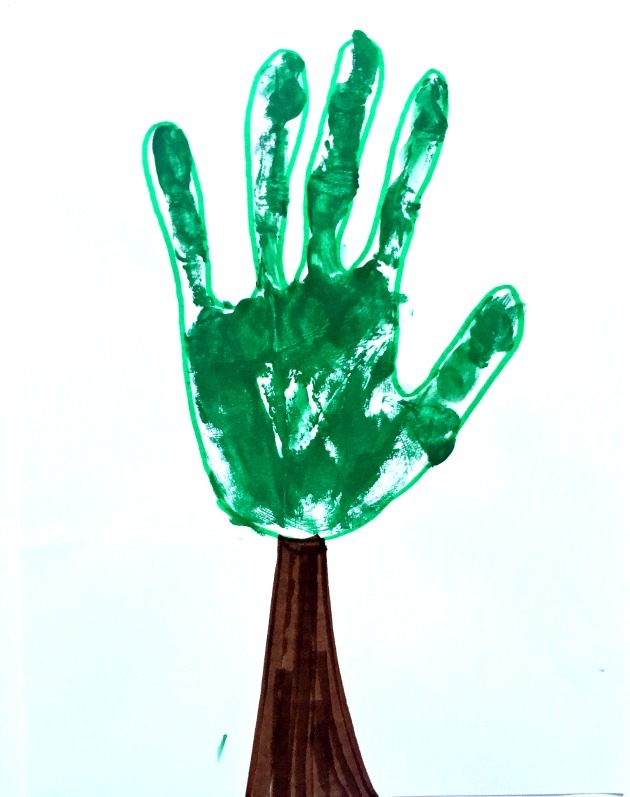 Start off by painting your child’s hand with your green paint. Carefully place their painted hand on a white piece of construction paper. Wash hands afterwards! You can make your tree as full of apples as you want! Once all the apples are cut out, grab the glue stick and start gluing. My kids enjoyed sticking the apples on their own trees. 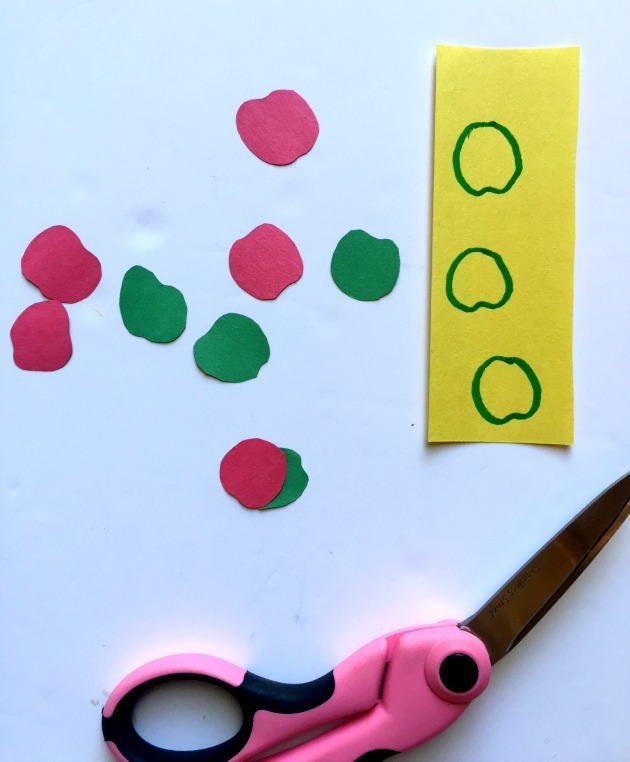 After all our apples were glued, I went back and drew a stem and a leaf on each apple. There is your Handprint Apple Tree! 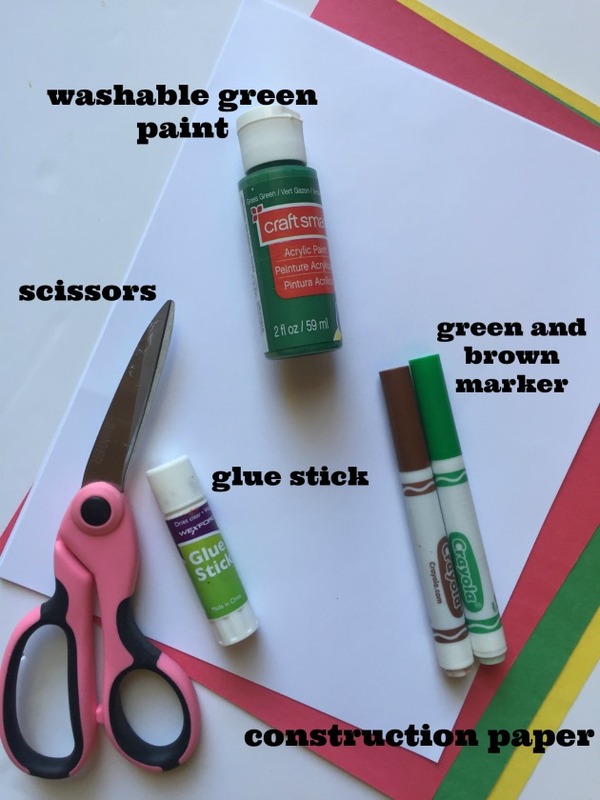 These can be framed and hung up around the house or in your child’s room for some fun Fall decor or they can even be placed in a scrapbook filled with your child’s other crafts. Have you made a Fall craft yet? 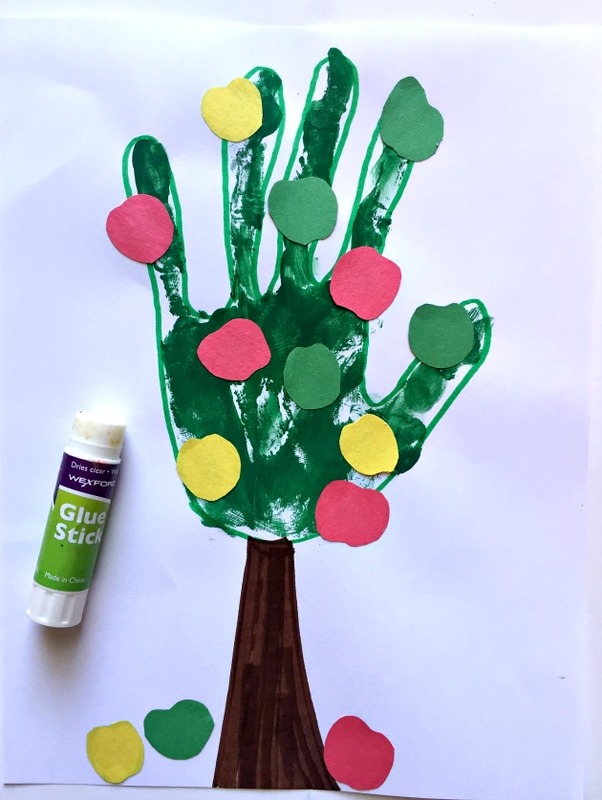 If you are looking for a fun craft to do with your child soon, give this handprint apple tree craft a try! It is really fun and the kids can definitely personalize their apple tree in a lot of different ways!